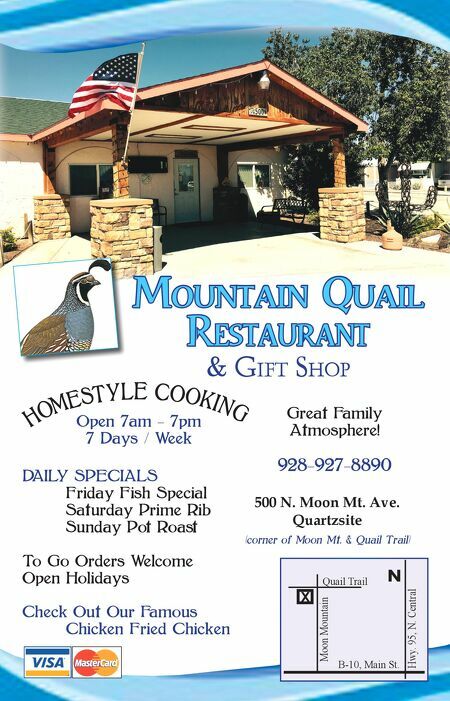 TYSON WELLS MARKET CENTRE 121 W. Kuehn Street, Quartzsite Seasonal Sales Lot For: Board Games, Tools, Clothing, Women's Fashions, Can Food Items, Vitamins, Sock, RV Mats, Jewelry, Games, Craft Supplies, Leather Goods, Concealed Carry Permit Classes, Sunglasses, Pet Supplies, R.V. Supplies, Novelties, Kettle Corn, Ice Cream, Food Vendors TYSON WELLS R.V. 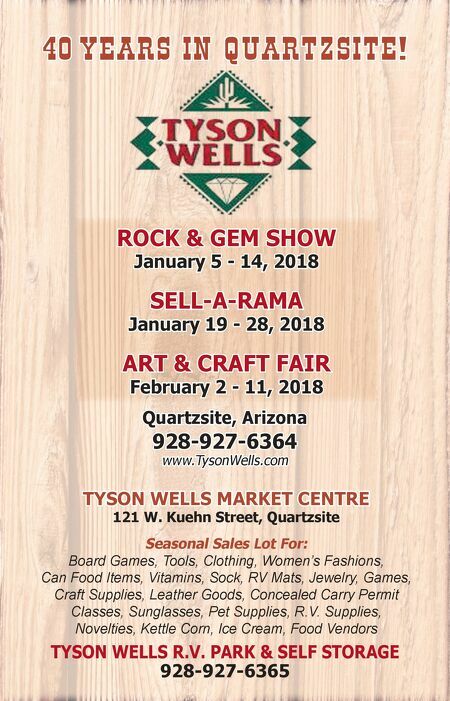 PARK & SELF STORAGE 928-927-6365 Quartzsite, Arizona 928-927-6364 www.TysonWells.com ROCK & GEM SHOW January 5 - 14, 201 8 SELL-A-RAMA January 19 - 28, 201 8 ART & CRAFT FAIR February 2 - 11, 201 8 40 YEARS IN QUARTZSITE!